As you shop for tires, you need to find a resource that not only offers excellent prices on tires, but also the brands you know and trust. Tires By Web is a trusted source for all tire needs, with brands vehicle owners know they can rely on to do the job well. At Tires By Web, you will find the lowest prices available on popular brands like Goodride Tires, Duck Commander Tires, Delinte, Federal, Cooper Tires and more. 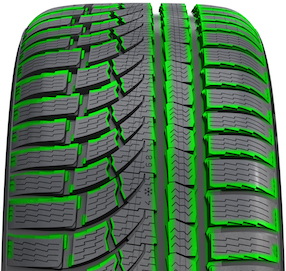 For those who live in northern climates, Nokian Tires from Tires By Web can't be beat. Nokian's studded tires provide traction and stability in even the slickest winter weather driving conditions. As the world's only manufacturer that focuses specifically on the needs of those driving in northern conditions, Nokian Tires is your most trusted resource for car, truck and equipment tires designed specifically for winter weather driving. One of the brands our customers love the most is Multi-Mile Tires. Multi-Mile Tires works to provide vehicle owners with durable, high-performance tires that stand the test of time, exceeding even the most rigorous demands for performance. Multi-Mile Tires offers tires designed for passenger vehicles, SUVs, commercial vehicles, farm equipment and other specialty needs. The Multi-Mile Tires brand includes well-known names like Arctic Claw, Wild Spirit, Wild Country and Power King. Multi-Mile Tires also manufactures Grand Tour, Grand Am and Matrix Tour tires for high performance on passenger vehicles. Tires By Web customers also appreciate the versatility of Vredestein Tires. With multiple tread options - including snow tires, all-season tires, summer tires and high-performance tires - Vredestein Tires is a logical choice for passenger vehicles. You will also find SUV tire options, studless snow tires, ultrahigh-performance tires, tires with vintage car treads, and tires specifically designed for vans. 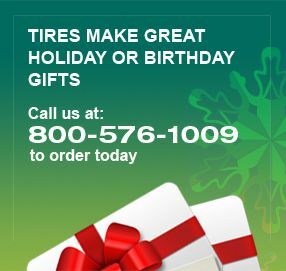 Shop Vredestein Tires for all your personal vehicle needs. Shop Tires by Brand Today! Whether you're looking for a high-performance tire, winter weather tire or a quality all-weather tire, these and other brands available from Tires By Web will have exactly what you need. Shop tires by brand here, or give us a call at 800-576-1009 to discuss your needs with one of our tire experts. Remember, no matter which of our affordable tires from these top tire brands you choose, you will always get free shipping and handling! Start shopping today.